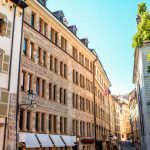 At 1 June 2017, 3,650 empty homes, of which 2,655 were for rent and 995 for sale, were on the market in Vaud. This brought the vacancy rate to 0.9%, a rise of 0.1% compared to the year before. This rise follows an increase of 0.1% in 2016 from a rate of 0.7% in 2015. The market is considered balanced when the vacancy rate reaches 1.5%. The last time it was above this mark in Vaud was in 1999. Vacancy rates varied significantly across the canton. 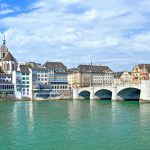 The five regions with the highest vacancy rates were Aigle (2.2%), Broye-Vully (1.1%), Jura-Nord vaudois (1.1%), Gros-de-Vaud (1%) and Nyon (1%). 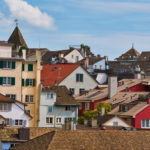 The five regions with the tightest markets were Lausanne (0.4%), Ouest lausannois (0.7%), Lavaux-Oron (0.8%), Morges (0.9%) and the Riviera region around Vevey and Montreux (0.9%). The biggest movers over the last 5 years were Gros-de-Vaud (+0.7), Broye-Vully (+0.6), Jura-Nord vaudois (+0.5), Nyon (+0.5) and Ouest lausannois (+0.5). The districts where vacancy rates increased the least were Riviera (+0.1), Lausanne (+0.2), Lavaux-Oron (+0.2), Morges (+0.3) and Aigle (+0.4). The market was tightest for 2, 3, 4 and 5 room homes (0.9%). There were slightly higher vacancy rates for 1 room (1.1%) and 6+ room places (1%). Annual movements favoured renters over buyers. The number of rentals on the market grew by 555 to 2,655 while the number of homes for sale dropped by 85 to 995. The report does not offer any explanation for increases in vacancy rates. In 2016, Vaud’s population rose by 10,750, made up of natural growth of 3,240 and net migration of 7,510. Population growth in the first quarter of 2017 was 3,090, 17% higher than the first quarter of 2017. The population of Vaud is 781,600, making it the third most populous canton after Zurich and Bern. Economically Vaud (CHF 51 billion GDP) comes third behind Bern (CHF 77 billion GDP) and Zurich (CHF 138 billion GDP). 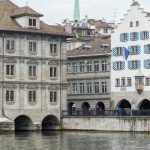 Together these three cantons make up 41% of Switzerland’s economy. Strong economies create jobs, population growth and rising demand for housing.